Hearing aid repair services are offered by your local independent hearing clinics in Toronto, Belleville, Trenton, Kingston, Vancouver, Calgary, Edmonton, Saskatoon, Regina, Winnipeg, Ottawa, Hamilton, Halifax, and St. Johns. If your hearing aid is under warranty, getting hearing aid repairs done is as simple as sending your hearing aid to the manufacturer. If your hearing aid is not under warranty it may still be repaired by the manufacturer as long as it is not more than 5 years old. The vast majority of minor hearing aid repairs can be performed by a hearing professional in less than 30 minutes in the hearing aid clinic. A thorough cleaning and diagnostic check of your hearing aids usually resolves most hearing aid issues. Independent hearing clinics typically stock parts for most makes and models of hearing aids. 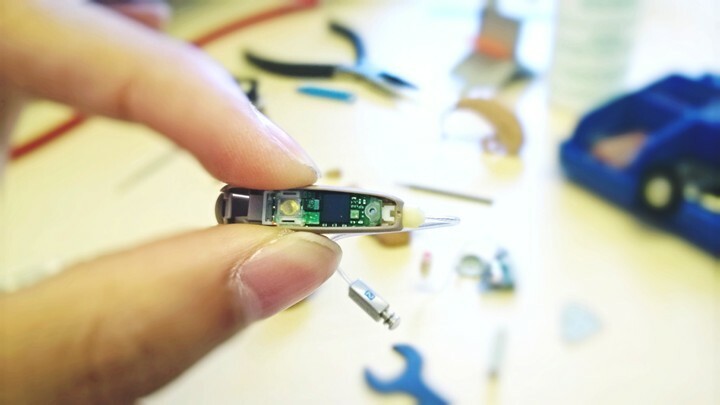 For more complex repairs the hearing aid must be sent to the manufacturer. If your hearing aid warranty has expired, your hearing professional may obtain a repair estimate from the manufacturer and will ensure that a new warranty is placed on your repaired hearing aid. Many independent hearing clinics are able to perform more complex types of repair within their hearing clinics depending on the technical proficiency of the hearing professional. ​Are you looking for hearing aid repair services in Toronto, Belleville, Kingston, Trenton, Vancouver, Calgary, Edmonton, Saskatoon, Regina, Winnipeg, Ottawa, Hamilton, Halifax, or St. John? Choose a quality, independent hearing clinic.